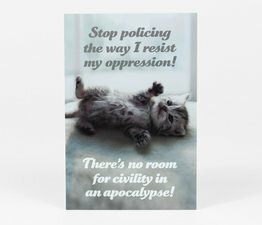 Creator of Crap Hound and the online LiarTownUSA blog, Sean Tejaratchi has added another set of the adorably poignant Social Justice Kittens. 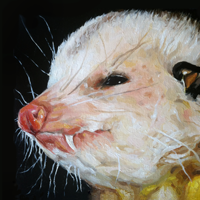 "I am preyed upon every second of my life." 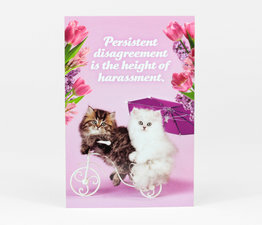 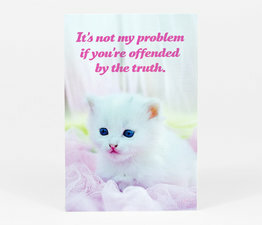 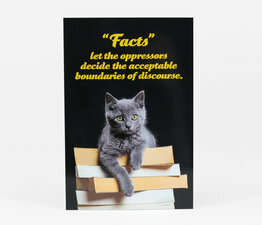 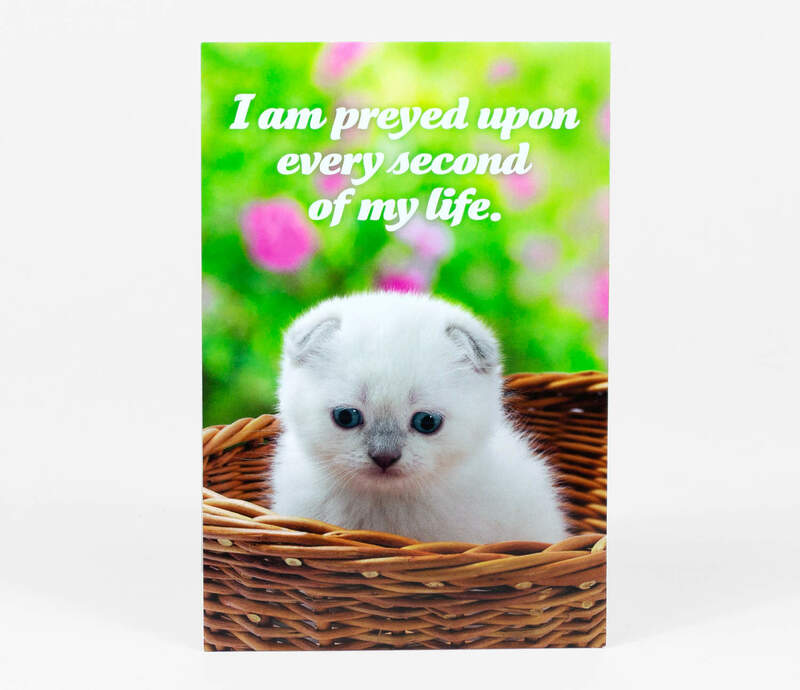 This postcard features a charming kitten professionally photographed in a heroic pose appropriate to a small cat defiantly speaking out on the hottest social justice issues of the day. 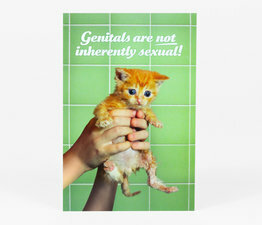 A sassy, uncompromising declaration erases any doubts about this precious cat’s passionate convictions, sense of humor, and tough-as-nails attitude! 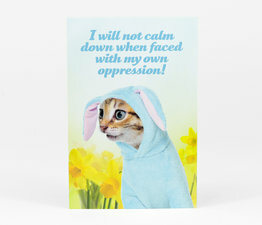 Each adorable kitten was subject to a week-long, grueling interview process to ensure there was absolutely nothing problematic in its beliefs. 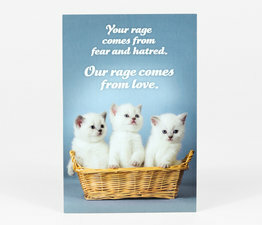 Unlike bland, privileged garbage kittens chosen for nothing more than shallow good looks, Social Justice Kittens radiate fierce strength in the face of untold adversity, and all are gifted with a dazzling array of genders and orientations to go with their tiny, oh-so-kissable faces!